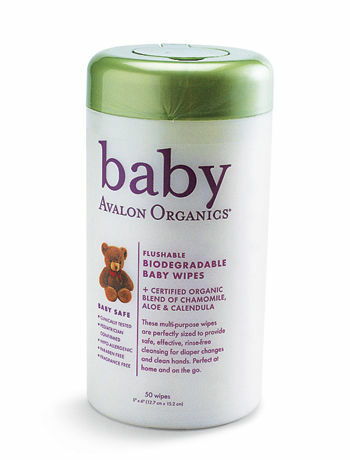 The best feature of Avalon Organics' new baby-care line. The best feature of Avalon Organics' new baby-care line (avalon organics.com) is everything it lacks: parabens, synthetic fragrances and sulfates. Flushable Biodegradable Baby Wipes are soft, nondrying and perfect for hands or bottoms.